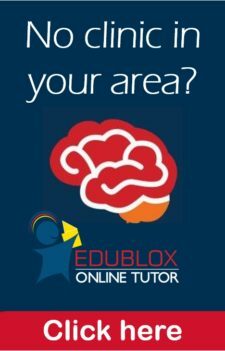 Edublox Online Tutor (EOT) houses a number of multisensory brain-training programs that aim to enhance cognitive skills such as attention, visual memory, auditory memory and logical thinking. EOT also provides a free online assessment to measure a number of cognitive skills, specifically visual sequential memory, auditory memory, iconic memory and logical reasoning. Sixty-four Grade 2 students of an inner-city school in Pretoria took the test after which their test scores were correlated with their academic grades using the Pearson Correlation. The word “cognition” is defined as “the act or process of knowing”. Cognitive skills therefore refer to those skills that make it possible for us to know. They have more to do with the mechanisms of how we learn, rather than with any actual knowledge. Cognitive skills include perception, attention, memory and logical reasoning. Sensation is the pickup of information by our sensory receptors, for example the eyes, ears, skin, nostrils, and tongue. In vision, sensation occurs as rays of light are collected by the two eyes and focused on the retina. In hearing, sensation occurs as waves of pulsating air are collected by the outer ear and transmitted through the bones of the middle ear to the cochlear nerve. The process of perception is very much affected by attention, a phenomenon that involves filtering of incoming stimuli. Human beings do not pay attention to everything in their environments; nor do they attend to all the stimuli impinging on their sense organs. Rather than becoming overwhelmed by the enormous complexity of the physical world, we attend to some stimuli and do not notice others. William James (1842-1910) recognised the importance of attention very early. “A thing may be present to a man a hundred times, but if he persistently fails to notice it, it cannot be said to enter his experience,” he wrote in his book Psychology: The Briefer Course. Attention can be divided into focused, sustained and divided attention. Focused attention enables one to stay focused on a task despite distractions and sustained attention to stay focused for a sustained period of time. Divided attention is a higher-level skill where one has to perform two (or more) tasks at the same time, and attention is required for the performance of both (or all) the tasks. The main categories of memory are short-term memory (or working memory) and long-term memory, based on the amount of time the memory is stored. 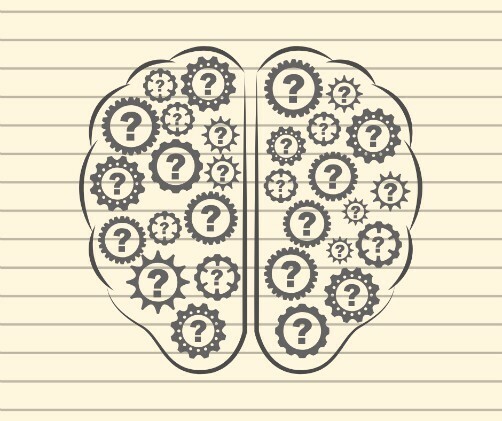 The distinction between short-term memory and working memory is an ongoing debate, and the terms are often used interchangeably. There are scholars who claim that some kind of manipulation of remembered information is needed in order to qualify the task as one of working memory. Repeating digits in the same order they were presented would thus be a short-term memory task, while repeating them backward would be a working memory task. Another viewpoint is that of Nelson Cowan, who says short-term memory refers to the passive storage of information when rehearsal is prevented with storage capacity around four items. When rehearsal is allowed and controlled attention is involved, it is a working memory task and the capacity is closer to seven items. EOT’s visual sequential memory exercise has 10 levels and requires a student to remember longer and longer sequences. When it comes to memory, one’s senses are involved too. Visual memory involves the ability to store and retrieve previously experienced visual sensations and perceptions when the stimuli that originally evoked them, are no longer present. Various researchers have stated that as much as eighty percent of all learning takes place through the eye – with visual memory existing as a crucial aspect of learning. Auditory memory, on the other hand, involves being able to take in information that is presented orally, to process that information, store it in one’s mind and then recall what one has heard. Basically, it involves the skills of attending, listening, processing, storing, and recalling. Sequential memory requires items to be recalled in a specific order. In saying the days of the week, months of the year, a telephone number, the alphabet, and in counting, the order of the elements is of paramount importance. Visual sequential memory is the ability to remember things seen in sequence, while auditory sequential memory is the ability to remember things heard in sequence. Sensory memory is the shortest-term element of memory. It is the ability to retain impressions of sensory information after the original stimuli have ended. It acts as a kind of buffer for stimuli received through the five senses of sight, hearing, smell, taste and touch, which are retained accurately, but very briefly. For example, the ability to look at something and remember what it looked like with just a second of observation is an example of sensory memory. The sensory memory for visual stimuli is sometimes known as the iconic memory, the memory for aural stimuli is known as the echoic memory, and that for touch as the haptic memory. Logical reasoning is the process of using a rational, systematic series of steps based on sound mathematical procedures and given statements to arrive at a conclusion. In logic, there are two broad methods of reaching a conclusion, deductive reasoning and inductive reasoning. Deduction begins with a broad truth (the major premise), such as the statement that all men are mortal. This is followed by the minor premise, a more specific statement, such as that Socrates is a man. A conclusion follows: Socrates is mortal. If the major premise is true and the minor premise is true, the conclusion cannot be false. In inductive reasoning broad conclusions are drawn from specific observations; data leads to conclusions. If the data shows a tangible pattern, it will support a hypothesis. For example, having seen ten white swans, we could use inductive reasoning to conclude that all swans are white. This hypothesis is easier to disprove than to prove, and the premises are not necessarily true, but they are true given the existing evidence and given that one cannot find a situation in which it is not true. Many studies over many decades have shown that cognitive skills are a determining factor of an individual’s learning ability, according to Oxfordlearning.com the skills that “separate the good learners from the so-so learners.” In essence, when cognitive skills are strong, learning is fast and easy. When cognitive skills are weak, learning becomes a challenge. Research has confirmed that auditory memory plays a crucial role in literacy: it is one area of auditory processing that directly impacts reading, spelling, writing and maths skills. Kurdek and team measured auditory memory in kindergarteners and found readiness in auditory memory predicted later reading achievement as well as mathematics achievement in fourth grade. Children who have poor auditory memory skills may struggle to recognise sounds and match them to letters – a common symptom of a reading disability or dyslexia. Research by Plaza et al. found that dyslexic children exhibited a significant deficit in tasks involving auditory memory skills (digit span, unfamiliar word repetition, sentence repetition), compared with their age-mates. Howes et al. compared 24 readers with auditory dyslexia and 21 with visual dyslexia to 90 control group participants and revealed auditory sequential memory impairments for both types of readers with dyslexia, and multiple strengths for good readers. Research has also confirmed that visual memory, often considered to be a subset of visual perception rather than a separate skill, plays a crucial role in literacy, especially maths. An investigation of the relation between visual memory and academics was performed in 155 second- through fourth-grade children; the results were published in the journal Optometry and Vision Science. Visual memory ability was assessed with the Test of Visual Perceptual Skills visual memory subtest. The school administered the Otis-Lennon School Ability Test and Stanford Achievement Test. Age and verbal ability were controlled in all regression analyses. The researchers concluded that poor visual memory ability is significantly related to below-average reading decoding, maths, and overall academic achievement (as measured by the Stanford Achievement Test) in second- through fourth-grade children. Guthrie and team investigated relationships between visual sequential memory and reading in 81 normal and 43 disabled readers. The children had normal intelligence and a mean reading grade of 2.5. The mean chronological age of the normal readers was 8.5 years, and the mean of the reading disabled 10.3. Partial correlations between three tests of visual sequential memory and three tests of reading were computed. Significant, positive associations were identified between visual sequential memory and paragraph comprehension, oral reading and word recognition. A study by Stanley et al., published in the Journal of General Psychology, compared 33 dyslexic and 33 control eight- to 12-year-old children and found the dyslexic children to be inferior to controls on tasks involving visual sequential memory and auditory sequential memory. Thirty-six 9‐year‐old children were given a test of image persistence in visual sensory (iconic) memory, and the Neale Analysis of Reading Ability. In the iconic memory test the subjects viewed a white disc in a tachistoscope and were required to state whether or not the disc disappeared for a short interval which ranged from 10 ms to 800 ms. The shortest disappearance perceived was taken as a measure of icon persistence. The reading test gave scores for fluency, accuracy and comprehension. All three measures of reading performance were found to be significantly related to icon persistence. Short and long image persistence resulted in a reading age on the accuracy score that was on average 1.75 years below that for moderate persistence. A study conducted in India by Bhat examined the contribution of six components of reasoning ability (inductive reasoning, deductive reasoning, linear reasoning, conditional reasoning, cause-and-effect reasoning and analogical reasoning) to explain the variation in academic achievement of 598 class 10th students. The predictive power of various components of reasoning ability for academic achievement was 31.5%. Out of the six dimensions of reasoning ability, the maximum involvement was reflected by deductive reasoning (with a reliability coefficient of .49), followed by cause and effect reasoning (.26) inductive reasoning (.16), linear reasoning (.05), conditional reasoning (.03) and analogical reasoning (.02) on academic achievement. Each of our cognitive skills plays an important part in processing new information. That means if even one of these skills is weak, no matter what kind of information is coming one’s way, grasping, retaining, or using that information is impacted. In fact, most learning challenges are caused by one or more weak cognitive skills. Edublox, which started life in 1979 as a school readiness program with only three cognitive exercises, has since been tried and tested by more than 150,000 children and even adults in approximately 40 countries through home-based kits and programs, as well as learning clinics. 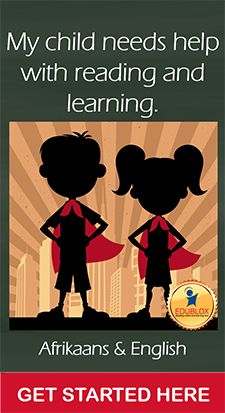 Although the developers caution that the Edublox system requires long-term use, Edublox programs have shown improvement in cognitive skills over a short period of time. A one-week Edublox program was presented in Singapore to 27 learners, ages 10 to 12; the control group comprised of 25 students. The results of the pre- and post-tests were analysed by the Centre for Evaluation and Assessment in the Faculty of Education at UP. Results of the study showed a significant improvement in focused attention. A 2013 study by Dr Jaidan Mays, at the time an M.Tech. student at the University of Johannesburg, found a significant improvement in visual memory – from 6.2 to 7.5 years following an intensive one-week Edublox program of 22.5 hours. Visual memory ability was assessed with the Test of Visual Perceptual Skills visual memory subtest. Preliminary results of a post hoc research study at the University of Pretoria (UP) by Naseehat Dawood as part of her master’s degree in research psychology under the guidance of Professor David Maree, former Head of the Department of Psychology at UP, show that EOT improves auditory memory. Sixty-four Grade 2 students of an inner-city school in Pretoria were randomly divided into three groups: the first group completed 28 hours of EOT’s Development Tutor over three weeks; a second group was exposed to standard computer games, while a third group continued with schoolwork. The pre- and post-assessments were conducted by independent speech and language therapists using the Test of Auditory Processing Skills (TAPS-3). The auditory memory of the Edublox group improved significantly, especially auditory memory for numbers. The ‘Number Memory Forward’-subtest is designed to show how well a student can retain simple sequences of auditory information. Number sequences of increasing length are read to the student, who is to repeat them. Testing is discontinued when the student makes three consecutive mistakes. The same 64 students took the EOT assessment at the start of the study, after which their assessment scores were correlated with their academic grades by SPSS software using the Pearson Correlation test. As in the study by Bhat, and contrary to the common practice of using achievement tests to measure academic achievement, real-life academic grades were used as a measure of academic achievement. The EOT assessment consists of five subtests: the Visual Sequential Memory test assesses visual sequential memory, the Auditory Memory test auditory memory, the Eye Span test visual sensory (iconic) memory, the Logical Thinking test logical reasoning, and the Reading test reading age. The Reading test was not applied in this study. Academic grades in South African schools are scaled from 1-7, 7 being “outstanding achievement” and 1 being “not achieved”. The 64 students’ Term 4 consolidated academic grades were used in this study, which is a score that combines a student’s academic achievement of all four school terms. The academic grades of the four subjects, English language, second language (in this case Afrikaans), maths and life skills were added together to derive at a Total Academic Score. The students’ scores on the Auditory Memory subtest correlated significantly with their total academic grades (0.01 level), English language grades (0.05 level) and maths grades (0.01 level). The students’ scores on the Visual Sequential Memory subtest correlated significantly with their maths grades (0.01 level) and their scores on the Logical Thinking subtest with their English language grades (0.05 level), while the Eye Span subtest that assesses iconic memory did not correlate with any school subject. This study confirms the importance of strong cognitive skills for academic achievement; the cognitive skill with the strongest correlation was auditory memory, which correlated significantly with language and maths, as well as total academic grades. The Eye-span subtest, which measures iconic memory, most likely did not correlate with any school subject as iconic memory is a cognitive skill required mainly for reading, and none of the school subjects rely exclusively on reading. English language grades, for example, are also dependent on spelling, writing, handwriting and oral ability. The same type of reasoning probably applies to the Visual Sequential Memory subtest, which correlated with maths grades but not with English language as a whole. The Logical Thinking subtest correlated with the students’ English language scores, but not with their maths scores. We predict that a correlation between this subtest and maths scores will become more and more apparent in the higher school levels, as stronger and stronger problem-solving abilities become a growing requirement over and above basic mathematical skills and knowledge. More research, however, will be required to confirm this theory. “A quasi-experimental control group evaluation of the Edublox implementation in Singapore in June 2014.” Unpublished project. Centre for Evaluation and Assessment, University of Pretoria. August 2017. Bhat, MA. “The predictive power of reasoning ability on academic achievement.” International Journal of Learning, Teaching and Educational Research. January 2016, 15(1). Howes NL, Bigler ED, Lawson JS, Burlingame GM. “Reading disability subtypes and the test of memory and learning.” Archives of Clinical Neuropsychology. April 1999, 14(3): 317–339. James W. Psychology: The Briefer Course. Harper, 1961. Kulp MT, Edwards KE, Mitchell GL. “Is visual memory predictive of below-average academic achievement in second through fourth graders?” Optometry and Vision Science. July 2002, 79(7): 431-4. Kulp MT et al. “Are visual perceptual skills related to mathematics ability in second through sixth grade children?” Focus on Learning Problems in Mathematics. 2004, 26(4): 44-51. Kurdek LA, Sinclair RJ. “Predicting reading and mathematics achievement in fourth-grade children from kindergarten readiness scores,” Journal of Educational Psychology. September 2001, 93(3): 451-455. Mays JL, Effects of Edublox Training versus Edublox Training Combined with Cervical Spinal Manipulative Therapy on Visual Memory and Visual Sequential Memory. M.Tech. thesis, University of Johannesburg. 2013. Plaza M, Cohen H, Chevrie-Muller C. “Oral language deficits in dyslexic children: weaknesses in working memory and verbal planning.” Brain and Cognition. March 2002, 48(2-3): 505-512. Riding RJ, Pugh JC. “Iconic memory and reading performance in nine‐year‐old children.” British Journal of Educational Psychology. June 1977, 47(2).